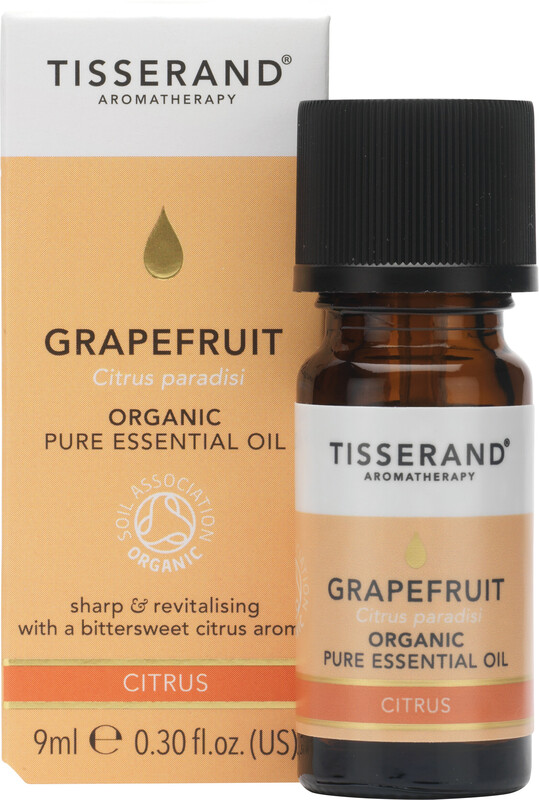 Tisserand Grapefruit Essential Oil is a refreshing, citrusy oil with a sharp, bittersweet aroma. Ideal for vaporisation and massage. The organic Grapefruit in this refreshing essential oil has been extracted from the rinds of grapefruits grown in South Africa. This oil has a number of health and aromatherapy benefits and is commonly found in medicine cabinets all over the world. Grapefruit essential oil can be used to treat oily skin and acne, as a natural disinfectant and to reduce blood pressure. When used as a massage oil it can help relieve muscular cramps and stiffness, remove toxins and excess water from the body and boost a poor appetite. As a vaporised oil it will rejuvenate the spirit and revive the senses. Avoid use during pregnancy. For general body massage, add up to 5 drops of this essential oil to at least 10ml of blending oil. For vaporisation, add a few drops to your vaporiser and allow to diffuse. Before use please ensure you read the Essential Oil Safety Information Leaflet, enclosed in the packaging.